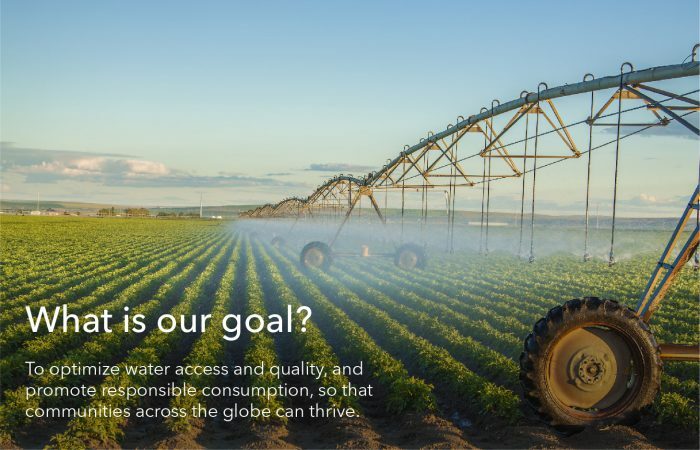 Who We Are | Xylem Inc.
We are united in our focus to be the leading global provider of efficient and sustainable water technologies and applications. To optimize water access and quality, and promote responsible consumption, so that communities across the globe can thrive. 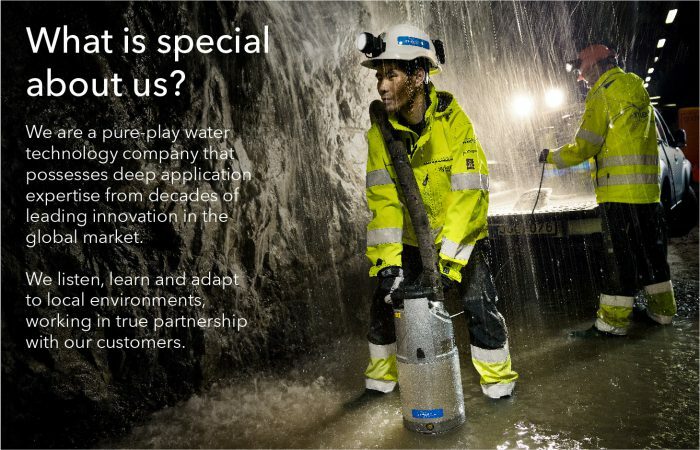 We are a pure-play water technology company that possesses deep application expertise from decades of leading innovation in the global market. We listen, learn and adapt to local environments, working in true partnership with our customers. With fortress brands and world-class distribution, as well as diverse geographic and end-market exposure, we have the unmatched ability to solve water issues across the water cycle. 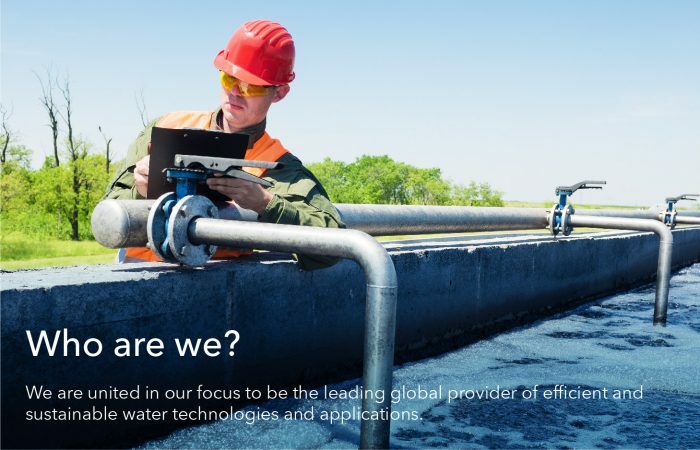 By bringing together all of our assets, technologies and applications expertise, we can meet and exceed customer needs and “solve water” differently than any of our competitors. What do we provide our audiences? 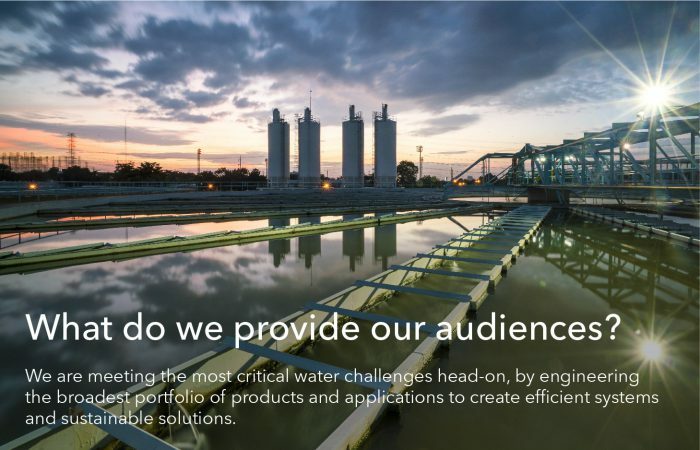 We are meeting the most critical water challenges head-on, by engineering the broadest portfolio of products and applications to create efficient systems and sustainable solutions. Water Productivity: How to transport, treat, test and use clean water efficiently. Water Quality: How to transport, treat, test and reuse wastewater efficiently. Water Resilience: How to reduce water-related risks from natural disasters and water scarcity.